Why Own a DL100 Dermlite Dermatoscope? Quite Simply, its the best Dermatoscope in its price range. Introducing DermLite DL100, the original choice for oil-free pocket epiluminescence microscopy. 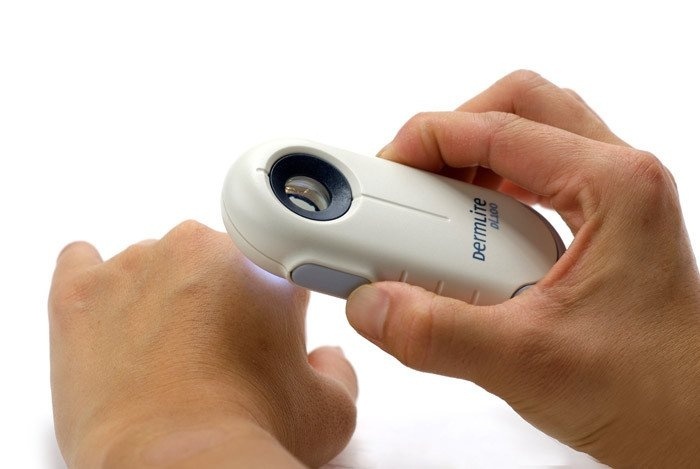 DermLite DL100 speeds up the early detection of melanoma with enhanced visualization of pigmented skin lesions - without the use of oil.